The Rocket Track team had a very successful season. Several individual team members and relays qualified for the 4A state meet, including, Jonny Pearson, Colton Mays, Kenton Weber, Tanner McGehee, Carter Milby, TJ Slade, Austin Brown, Keanu Bradley, Brogan Collins, Areila Schrader, and Haley Slade. Rose Hill placed fourth as a team at State. Colton Mays won the 400 meter dash. The team looks forward to a new season with new coach, Travis Sell, and many underclassmen stepping up to replace the several graduating seniors. 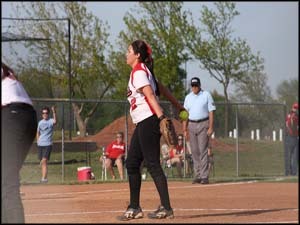 The Rocket Softball team fought hard though a season full of cancellations and postponements due to weather. The girls’ lost by just two runs to the Wellington Crusaders in the first regional game. Their final record was 8-11. Kathy Santo ended her softball coaching career after 26 seasons as the Rockets Head Coach, including a State Championship in 1993. Coach Santo will be missed. Along with a new coach, the team will also be looking for two pitchers to replace the graduating seniors, Bailey Santo and Ashton Wheeler. The softball team hopes to come back next year, stronger and ready to take on a new season of challenges. 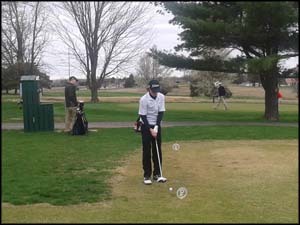 The Rocket Golf team has a young roster this season. Returning golfers are Juniors Jagger Ashby, Alex Dinicola, and Hallie Jensen and Sophomores Nash Lipscomb and Dustin Lampe. There are seven new golfers being added to the team, of which six are freshmen. A couple have prior experience in middle school. With a young team, the entire group will have plenty of time to develop and increase their skills. The Rockets start off their season at Andover on Monday, April 1 at 1:00 p.m.
Lady Rocket Soccer struggled throughout the season, ending with a record of 4-11-3. Many games were close though, with a difference of only one goal. Despite some of the hard losses they took, they still fought hard and won their first round of regionals against Independent 6-0. 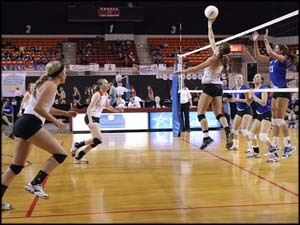 Their next opponent, Topeka Hayden (who wound up winning the State Championship), dominated the Lady Rockets and won 3-0. The Lady Rockets hope to step up next year with only one senior graduating, Alia Khalidi, and the addition of incoming freshmen. 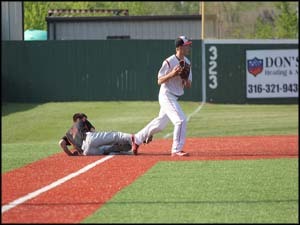 Rocket Baseball didn’t quite meet their expectations this season. The season was struck with several postponed games due to weather related conditions but the players kept a positive attitude and were eventually able to get in most of the games, losing only a double header with Mulvane to Mother Nature. 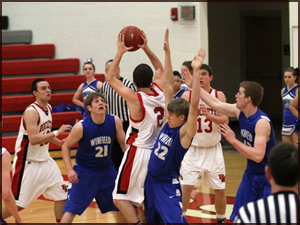 The Rockets’ varsity squad included three freshmen that started most of the games. The team improved throughout the season but finished out the season with a record of 5-14 after losing to the Augusta Orioles in regionals. Seniors Dustin Yates, Brady Ryan, Tanner Terrell, Wyatt Clark, and Connor Campbell have graduated but the future of the program is bright as several good, young players with lots of summer baseball experience will be entering the program. Last year was the first season of girls’ swimming for the Rockets. They made great progress as a new team and Rachel Smith placed 18th in the 100-yard backstroke and Shayla Meyer placed 18th in the 100-yard freestyle in state swimming. Christian Moreland is the new head coach for the girls, replacing Coach Haug who moved to Kansas City over Winter Break. With Shayla Meyer, Mackenzie Showalter, and Chandler Boese as the only returning swimmers, they will have to lead their new teammates to another great season. Their first meet of the season will take place at Wichita Heights on Friday, March 29 at 3:00 p.m.
Last year, the Boys’ Track team placed 11th in the State meet and Keanu Bradley placed 3rd individually in the 1600 M Run for the Girls’ Track team. Despite the loss of seniors Jon Martin, Joey Kenneson, Blayze Miller, Austin Shaffer, and Tyler Knight, the team will continue to be strong with returning state competitors Austin Brown, TJ Slade, Kenton Weber, Tanner McGehee, and Colton Mays. This will be Coach Slade’s second and final year as the Rocket’s Head Track Coach as he will be leaving after this school year to be the Head Football and Head Track Coach at Campus High School. 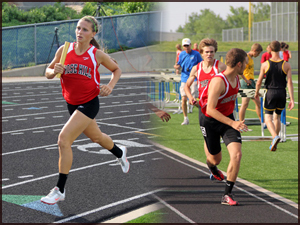 Their first track meet is the Early Bird meet at Mulvane on Tuesday, March 26 starting at 3:30 p.m. The Rocket Softball team returns to improve from their good season last year. 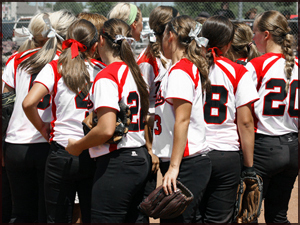 They finished out their season with a 13-9 record with a 5-9 loss to Mulvane in the Regional Semi-finals. With the graduation of only four seniors, the current senior class will have to continue to lead the team this year. Seniors Ashton Wheeler and Bailey Santo have already signed for college sports. This will be Coach Santo’s 26th year as head coach. They have been working hard as they prepare for another challenging season ahead of them. The Rockets will play their first game of the season at home against Wellington on March 25 at 4:30 p.m. Positive View on Seasonew SThe Rocket baseball team had it rough last season. They finished out with a 4-17 record, leaving the team with plenty of room to grow. With the loss of eight seniors, a large gap has been left that will have to be filled. The Rockets will field a young team this season but the outlook is very positive as the young players have played a lot of baseball and have some good baseball talent among themselves, though it may take a year or two to really show at the varsity level. Seniors Connor Campbell, Wyatt Clark, Jeffery Howard, Brady Ryan, Tanner Terrell, and Dustin Yates will lead this young team. The Rockets have another difficult schedule ahead of them this year. The team will have to step up and work hard to improve from their previous seasons. They will start their season off at home against Wellington on Monday, March 25 at 4:00 p.m. 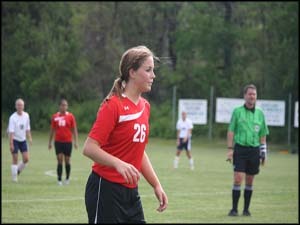 The girls’ soccer team had a very good season last year with a 14-4 record. Their season ended as they lost to Topeka Hayden in the quarterfinals. Coach Mike Terrell is moving up from assistant coach to be the new head coach of the girls’ team. Alia Khalidi is the only senior on the team this year meaning that the underclassmen will have to step up to fill the positions left behind after the graduation of 11 players. The girls have a challenging schedule ahead of them. Their hard work should surely pay off as another successful season. 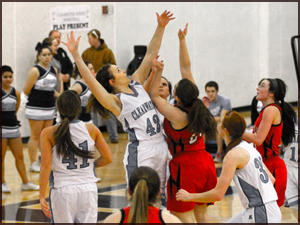 The girls will begin their season with a home game against Goddard on March 14 at 7:00 pm. Rocket wrestling has had another interesting season with mixed results. The team only won a single dual this season. However, their individual results proved their hard work as successful. 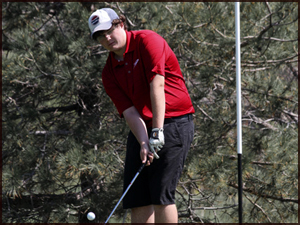 Seniors Tanner Terrell and Jon Graham, Junior Jake Wilson, and Sophomore Toby Gray had placed high in several tournaments throughout the season. Wilson went on to the 4A State Tournament at Salina and took third place. The Rockets look forward to next year for another good season. Congratulations to Jake Wilson and thanks to all of the Seniors for their hard work and dedication over the years. The Rockets swim team had a great season this year. 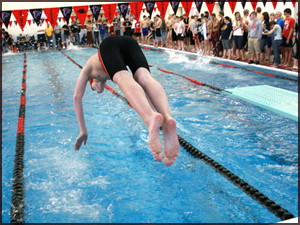 Although their success did not reflect in team scores, individually each swimmer improved greatly. 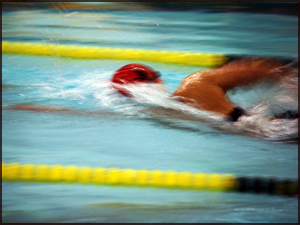 Several swimmers placed high on a regular basis at swim meets. It is impressive that even in the second year of the program, several swimmers went to the State Tournament. Brady Mounts placed 11th in the 100-yard backstroke and Gavin Smith placed 4th in the 100-yard butterfly at the State Tournament. 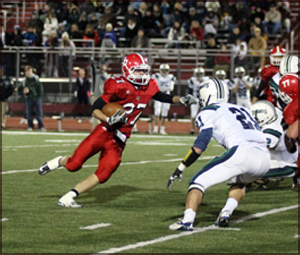 Smith was also selected to Second Team All-State. Congratulations to the swimmers for their great results and an impressive season. Rocket boys’ basketball had high hopes for a great season. It was an interesting season under their new head coach, Coach Siemens. Overall, they had a difficult and rough season with a 6-14 record. 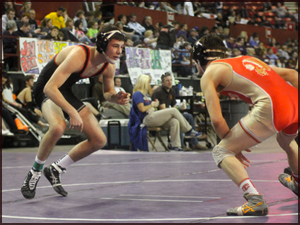 The Rockets had a few big wins, defeating Buhler 48-39 and Wellington 47-42. Unfortunately, their season ended against Clearwater in 4A Sub-State, losing 43-53. The Rockets look on to next year with plenty of room to improve. Thanks to each of the Seniors for their effort and commitment over the last four years. The Lady Rockets had it rough in basketball this season. The girls finished with a bitter 4-16 record. However, they took third in the Coffeyville Invitational, defeating Parsons 52-42 and the Wichita Defenders 57-41. Their season ended in 4A Sub-State against Clearwater. The Lady Rockets seek to improve greatly next season by hard work. Thank you to all of the Seniors for their hard work and sticking with the program through the years. 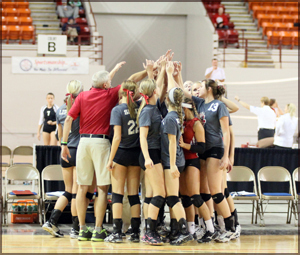 Volleyball returned from their previous successful season with high expectations. They made their way through many tough teams throughout the season. Their final record was 35-9. After winning Sub-State, the team made their way to the 4A State tournament. 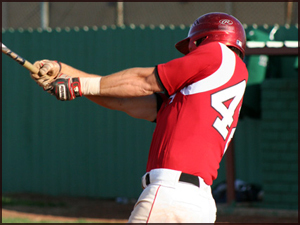 The Rockets fell only to McPherson, receiving third place, which renders this season as a success. Keanu Bradley and Kylie Pfaff were selected for First Team All League; Bailey Santo and Dakota Williams were chosen for Second Team All League. Honorable mentions were Lexie Wartick and Kynnedy Myers. Congratulations to the Rockets for the impressive season and being the third place team in the state. The Rocket cross-country team proved themselves to be a great group of runners this year. After great success at 4A Regionals, the girls’ team made it to state as a group and Kenton Weber and David Reaves competed as individuals for the boys’ team. 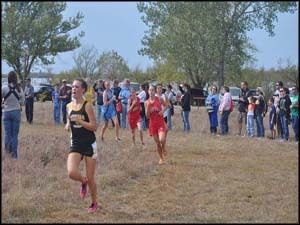 Emily Terrell placed 9th at state and received the title 4A 1st Team All-State. Kenton Weber received the title 2nd Team All-State for placing 16th at state. Congratulations to the whole cross country team for your success. 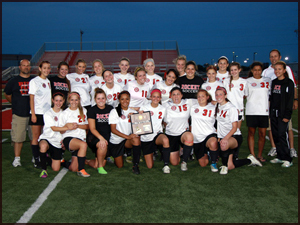 The Rocket Soccer team’s regular great season was cut short this year. Along the way they hit a few understandable road bumps like McPherson and Newton. The team pressed though many other tough teams and pushed forward, including a 2-1 win over Thomas Moore Prep in regionals. For the Regional final, the Rockets played Wichita Trinity in a back and forth game that ran into four overtimes and lost in a penalty kick shootout. 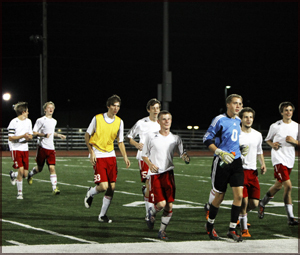 Although the season ended earlier than the team wanted, they still had a satisfactory season. Last year, the Rockets earned the state champion title, but this year was different due to several variables. 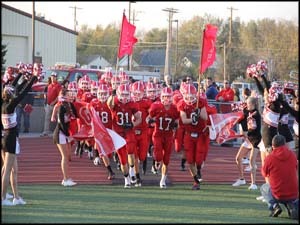 The season ended in the Bi-District Playoff game against Mulvane. The final record for the Rockets was 4-6. It is hard to expect anything but to succeed at the same level as last year. Every football team has a hiccup every once in a while. A couple of great games this season were the strong wins over El Dorado and Trinity. Thanks to the football team for all of the hard work put in this year and the commitment the seniors have shown through their high school years. With the start of the football season near, the Rockets have been training hard to fulfill the expectations left for them. With the gap left by the class of 2012, this year they must train harder than ever, pushing their bodies beyond their limit with dreams of once again becoming state champions. The team is working hard towards kicking off the season at Buhler on Friday, August 31st at 7:00 p.m. 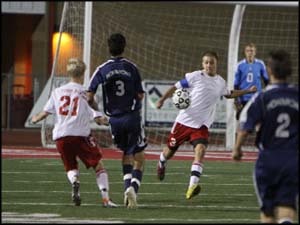 The Rocket boys soccer have an exciting season ahead of them. 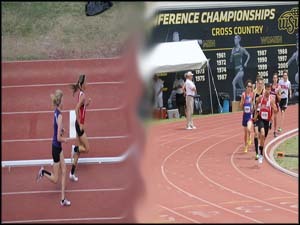 As returning participants in the semi-finals of the state championship, they must continue the tradition this season. The boys must make up for lost players such as Dominic Swindler, Jake Sutton, and several other seniors. They have been training hard every day in hopes of finally winning that state championship. Show up Friday, August 24th at 7:00 p.m. to support the team as they face Coffeyville in their first home game. After making it to state last year, and even with seniors Katie Gilbert, Lakynn Myers, Katelynn Slade, and Jessica McDougald gone, Rocket volleyball has the potential of great season. Congratulations to Slade, Bradley, and League MVP McDougald for being selected 1st Team All League. The Rockets have been training harder than ever to strive for the goal of becoming champions. The volleyball season starts up against Winfield and Wellington playing Tuesday, August 28th starting at 5:00 p.m.
At state, Joey Kenneson took 3rd in the 5k and Emily Terrell placed 4th in the 4k. With Joey Kenneson gone, boys cross country must step up to the plate. Congratulations to Kenneson and Terrell for being slected for 1st Team All League and 1st Team All State. 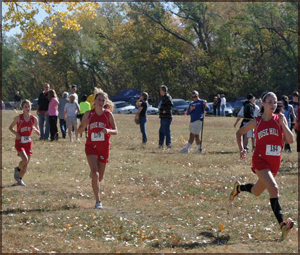 With an already successful girls cross country team, they strive to be even better. Their first meet is Thursday, August 30th in Clearwater at 4:30 p.m.